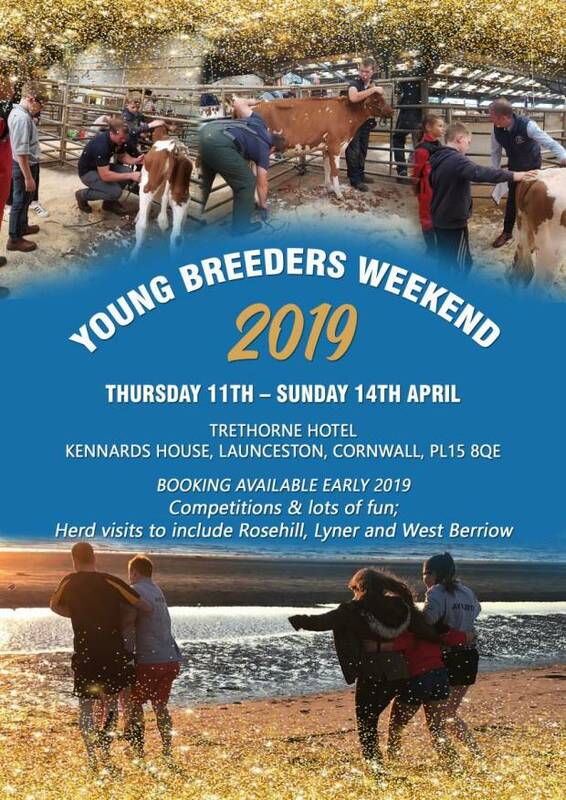 The annual Ayrshire Young Breeders gathering incorporating the Hugh Stevenson competition takes place from Thursday 11th April to Sunday 14th April 2019 in Launceston, Cornwall. A fantastic programme of events has been arranged for you and you will visit three great herds - Lyner, West Berriow and Rosehill. Our thanks go to the Cornwall club for their fund raising and help in organising the event. Please book in by 28th February 2019. Cost £125 per person including accommodation and all meals. Help with transport can be arranged. Call the office for any help with this. Click the link below to book your place.